The Cotton/Peanut Research Field day is coming up soon in Tifton. The field day will start at 8:30 a.m. at UGA’s Lang Rigdon Farm before relocating to the RDC Pivot around 11 a.m. 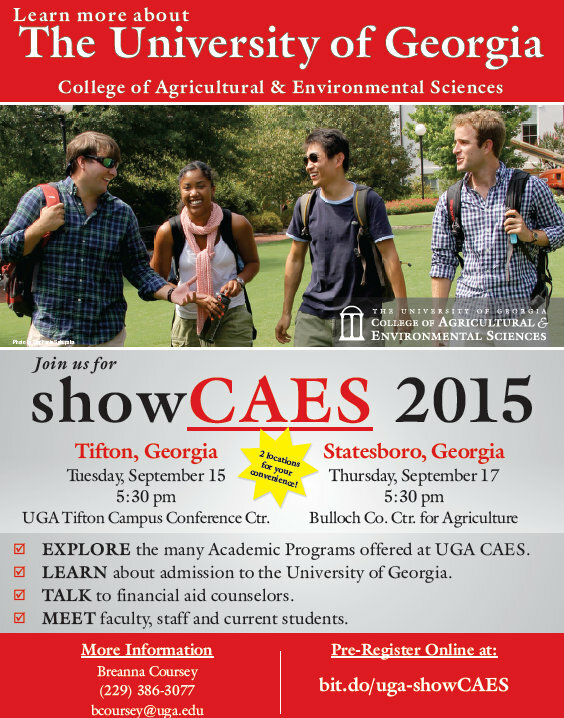 Lunch will be held at the UGA Tifton Campus Conference Center at 12:45 p.m. Those planning to attend need to RSVP by Thursday, Sept. 3, to Debbie Rutland at drutland@uga.edu or 229-386-3424. The purpose of the tour is to showcase current research, which is funded by the respective commissions, in plot-side presentations by the researchers themselves. The sponsors’ goal is to provide an educational environment for cotton and peanut producers and give them the opportunity to pose questions directly to the researchers and to express opinions and concerns pertinent to the production of their crops. Chairmen of the peanut and cotton commissions, Armond Morris and Mike Lucas, respectively, agree this event presents a chance for the commissions’ board members and staff to interact with growers and other attendees. It is an excellent place for both commodities’ producers to observe, first-hand, the research program funded by their checkoff investments. 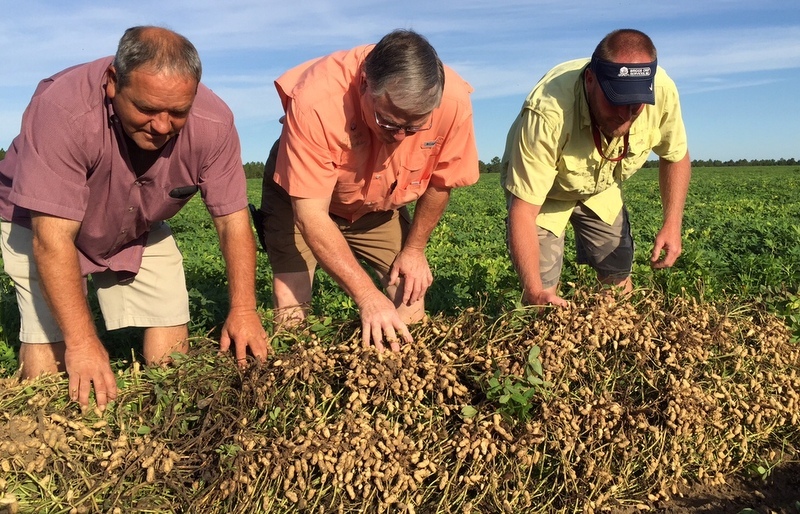 At peanut digging it’s a good time to evaluate field problems so that you can plan for the next time peanuts go in the field, as well as look at problems that may affect other crops in the rotation. 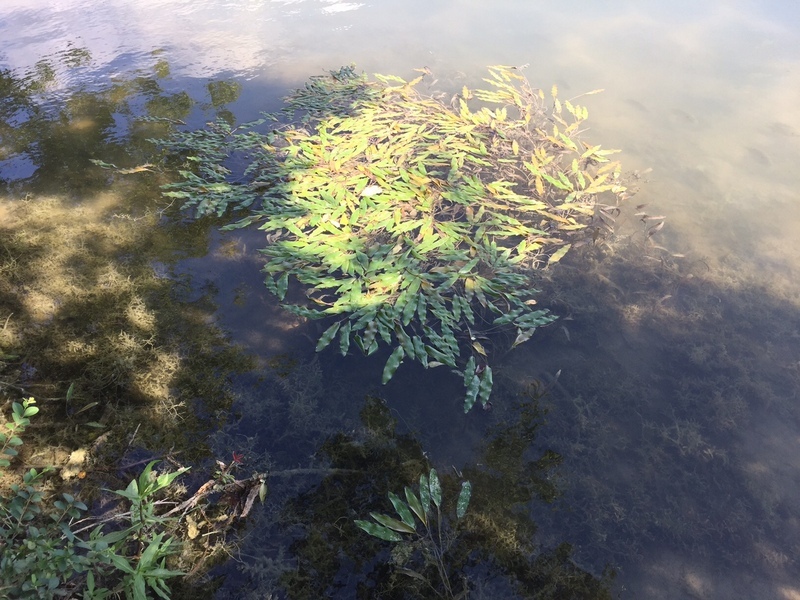 Look for nematodes and diseases that have affected you. 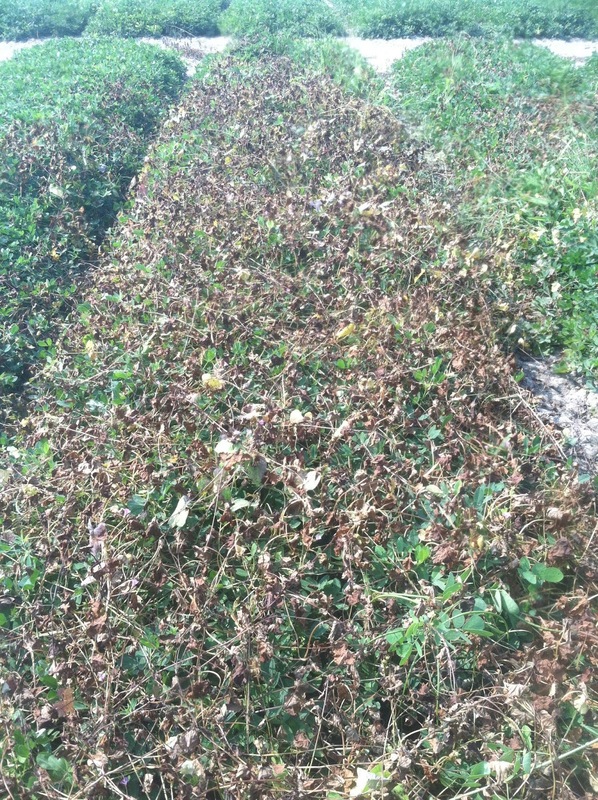 This year white mold has been severe and any white mold program has been challenged and we see some in most all fields. Look to see how many hits of mold you had and if the mold was really running down the row, and then evaluate your fungicide spray program. 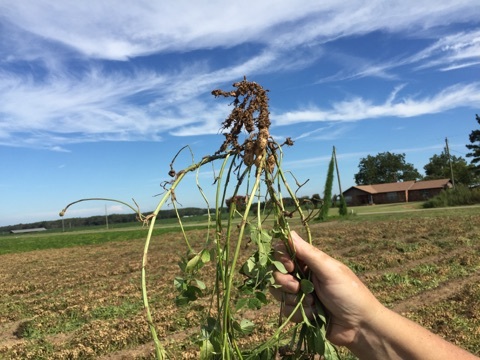 The 2015 UGA Peanut Update has good sections on Disease and Nematode control by Dr. Kemerait, UGA Extension Plant Pathologist. As peanuts are inverted we can look for underground mold which we sometimes don’t see from the topside. Usually dirt will stick to these affected peanuts and they will be sort of soft and we’ll see some of the white mycelium usually as well. Here’s a good example of it. 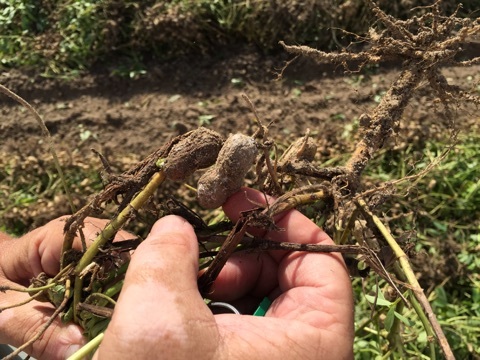 Another yield grabbing culprit is the Peanut Root Knot Nematode. We naturally have nitrogen producing nodules on the roots that are stuck to the sides of the roots but actual swellings are nematodes. 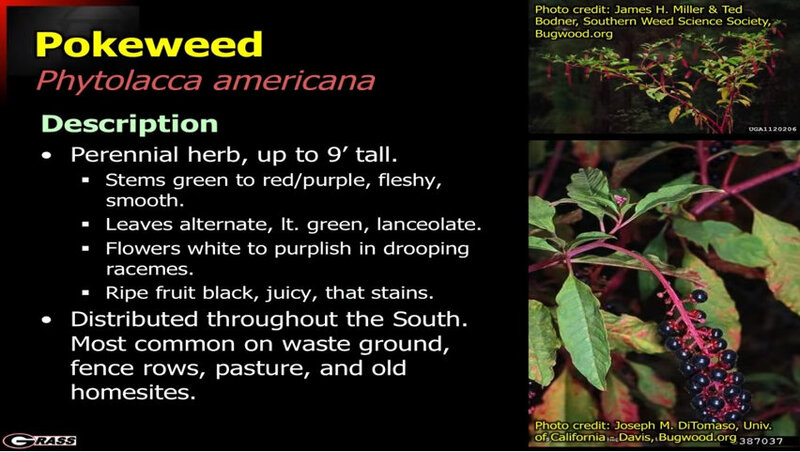 Often the roots look bushy and hold more dirt, and if you look closely the pods have knots on them, too. Peanut Digging Time – 2015, But it’s Still August? A few peanuts were dug this week and they look good. We are a little concerned about what grades we will get on these earliest peanuts. It’s quite unusual for us to dig in August due to later planting in the past many years due to Tomato Spotted Wilt Virus (TSWV). TSWV hasnt been quite the problem in the last few years so some folks are going back to early planting. We are however seeing a bit of a resurgence in the virus. These are Florun 107’s that are 140 days old. Some of these that I’ve hull scraped(maturity tested), will go a little longer, but the University of Florida says they will be about a 140 day peanut. Each field needs to be checked, however. 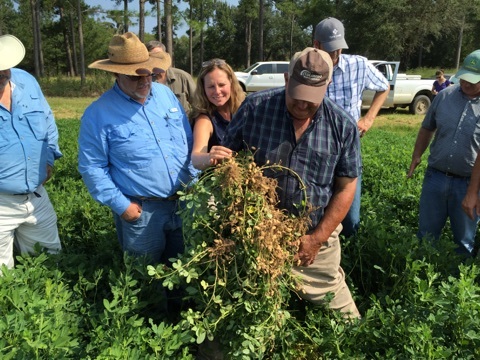 Here on the Thompson Farm; Rocky, Raymond and Michael are checking out these good irrigated Hi-Oleic peanuts. 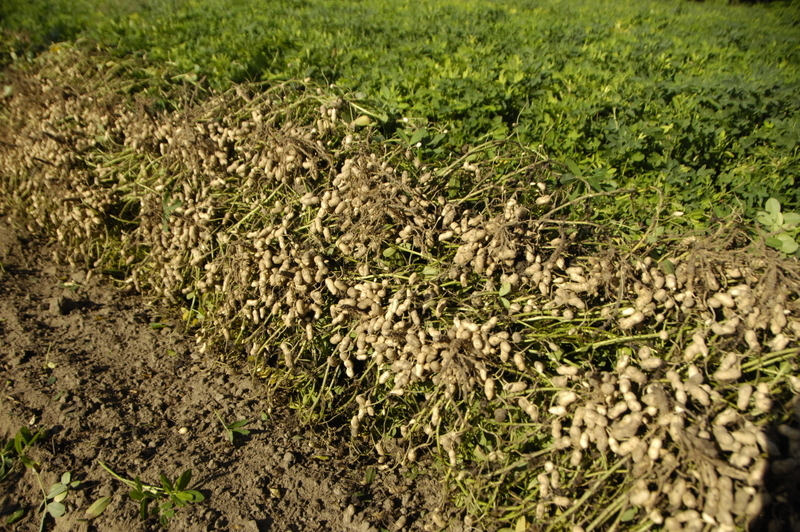 Some peanut buyers want the Hi- Oleic type of peanuts due to increased storage life and other benefits. Here’s a very short video clip of some of this week’s digging. 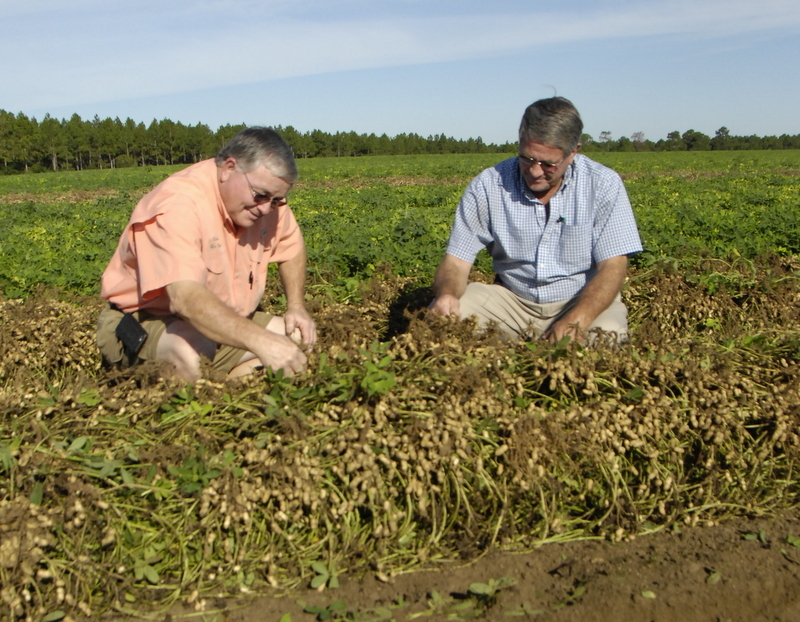 Raymond and Rex Thompson check the stem strength on these peanuts, they plan to start picking today or tomorrow. Just back from the 2015 Southern Climate Consortium Working Group Meeting and the biggest news of the day was that all signs point to a SIGNIFICANT El Nino event for the southeastern US this fall and winter. Here’s part of the group on a field trip to Jud Greene’s farm. He’s showing some of his new Ga 13M peanuts. A. There is a high probability that we will be cooler and wetter this fall and winter. B. We could start to see more “wet” as early as next month. Especially November through March. C. Growers should NOT delay harvest as wet weather later may keep them out of the fields entirely. D. Growers should not delay establishing cover crops. E. Growers should be aware that early corn planting next year might be affected. G. Lack of tropical storms this year is a result of El Nino. We recently went to Jekyll Island for the annual Peanut Achievement Club awards and we were fortunate to have 2 winners from Seminole County. 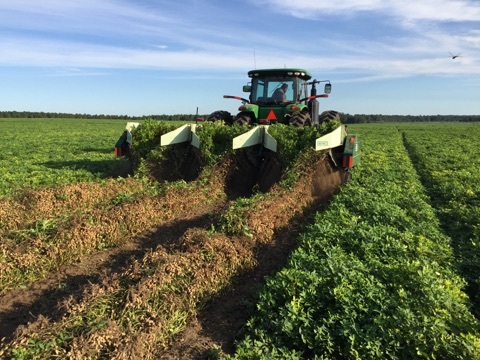 Our growers do a great job growing high quality peanuts that go all over the world. Most of them go to be made into peanut butter, but they also go into all kinds of good snacks that are good for you. Eddie Miller had our district’s highest yield for 300 and higher acres and he also won the State award for highest yield for farms having more than 300 acres of peanuts. 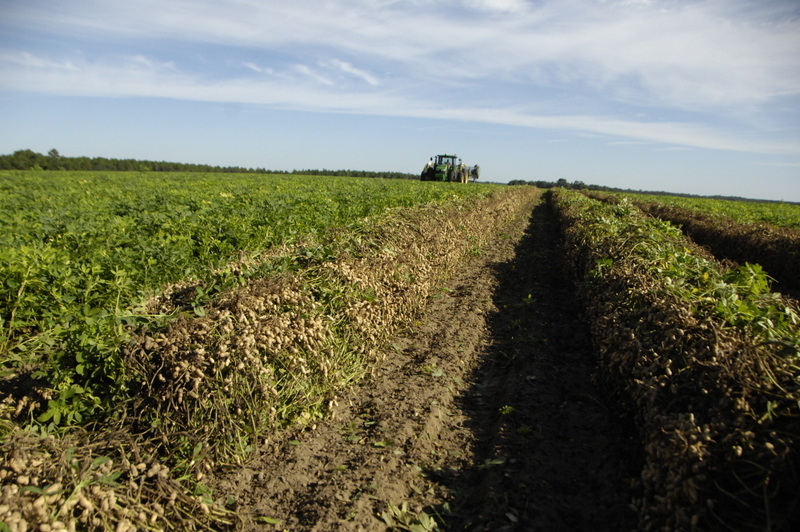 He and his family grew 7,135 pounds of peanuts per acre on 620 acres. They do a great job growing peanuts and other crops. 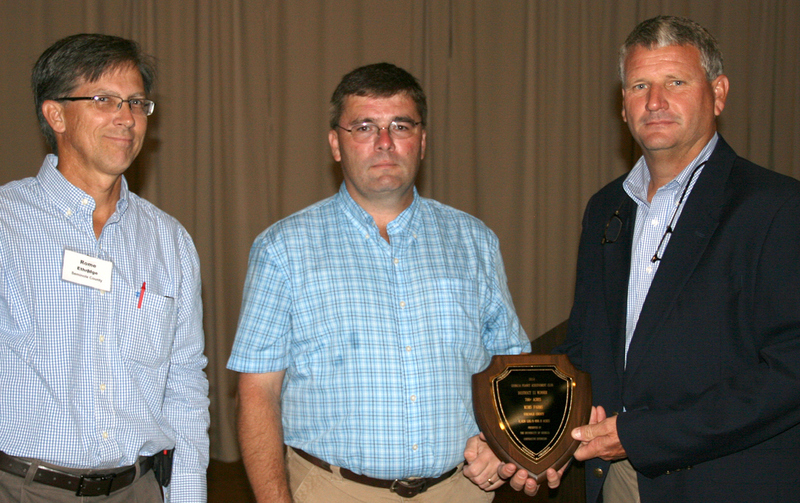 Mims Farms were also winners in our district with the highest yield in the high acreage category,(700+ acres). Greg Mims came to represent the family. 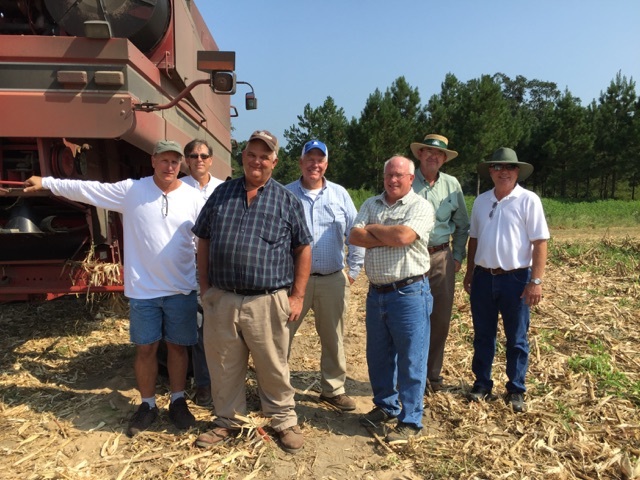 They did a great job growing 6,628 pounds of peanuts on 890 acres and some of those were dryland. Here’s a link to a story about the full contest results. 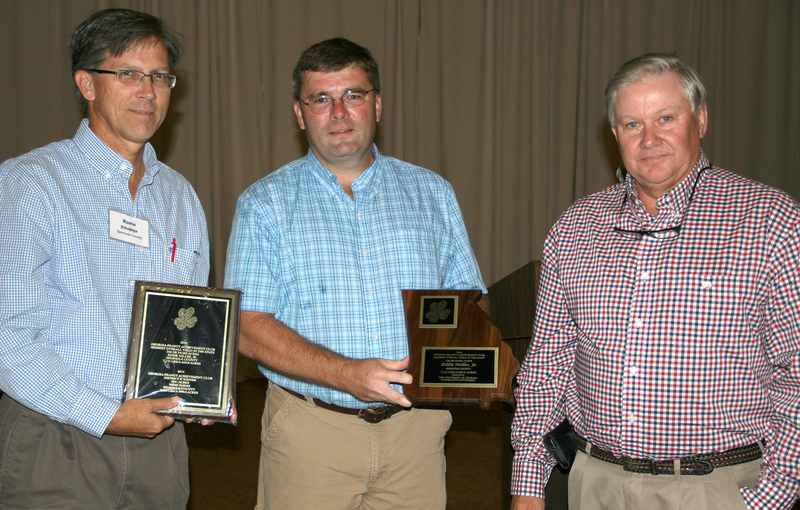 Myself, Dr. Scott Montfort, UGA Peanut Scientist, and Eddie Miller, Jr.
Greg Mims receives the award on behalf of Mims Farms. Join us for a late season peanut update. 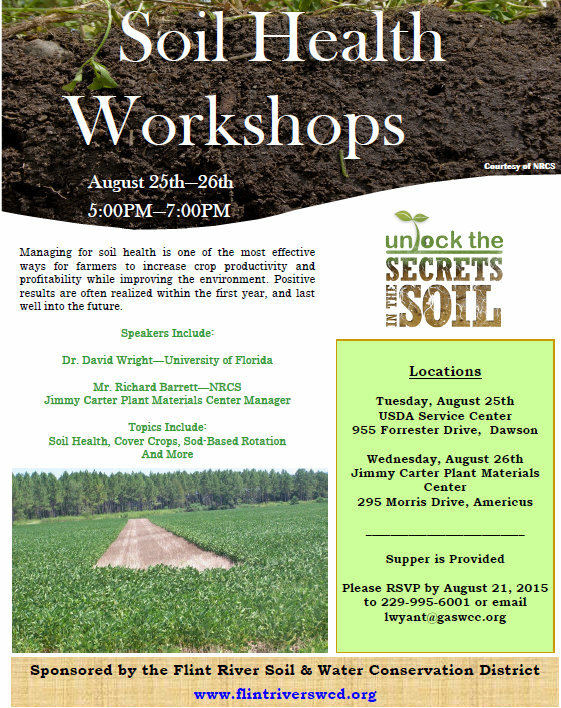 Dr. Scott Montfort, UGA Extension Scientist, will be here Monday, August 24th for a joint meeting with the Seminole County Young Farmers. This will be at 7:30pm at the Ag Center on Town and Country Road. Peanuts are looking good. Even the rainfed ones look like they will yield well, however we need continued moisture until they are at least 120 days of age. 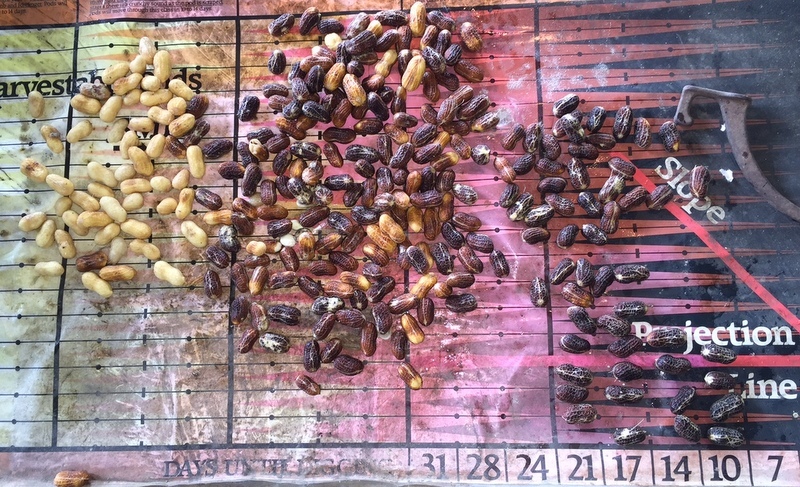 I’ve maturity tested a few samples of old peanuts and they are mostly looking to come off in the 140 to 143 day range. I’ve heard that a few end rows may be dug next week. 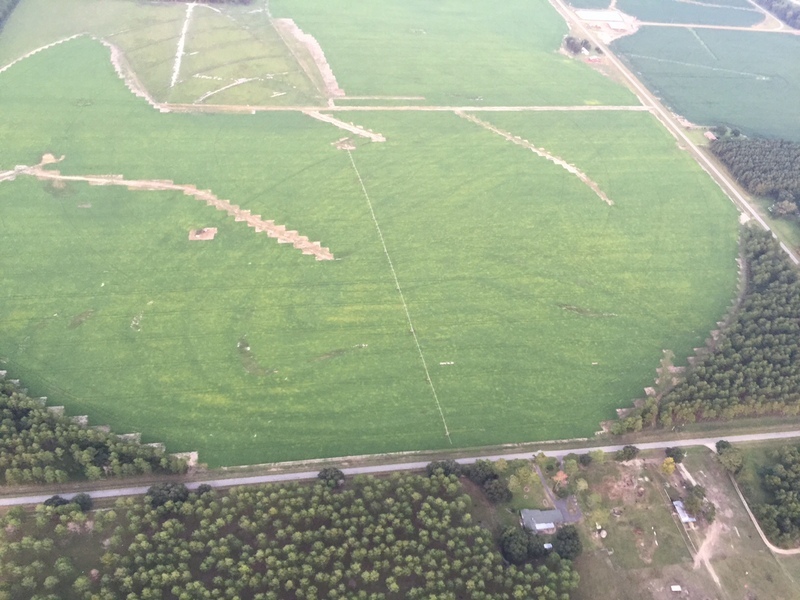 Here’s a photo we took of a field of 130 day old Florun 107’s, from Brad Thompson’s Helicopter.